Twerk Miley … Miley …. 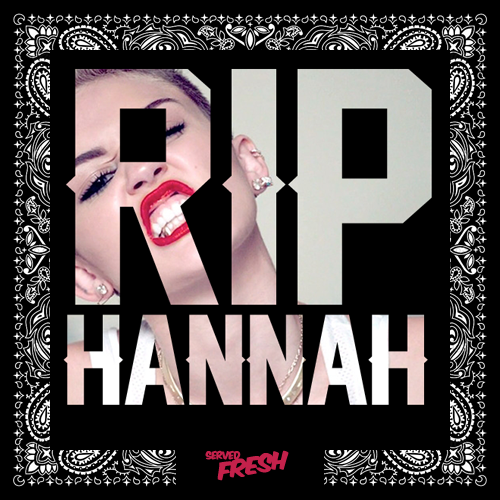 Fly brand, ServedFresh takes aim at the REintroduction, REinvention and REnewel of America’s beloved sweetheart , Miley Cyrus – with this bold new tee titled ‘RIP HANNAH’. The compelling design mixes an iconic bandana print with a striking visual of Miley showcasing her ‘grill ‘ . 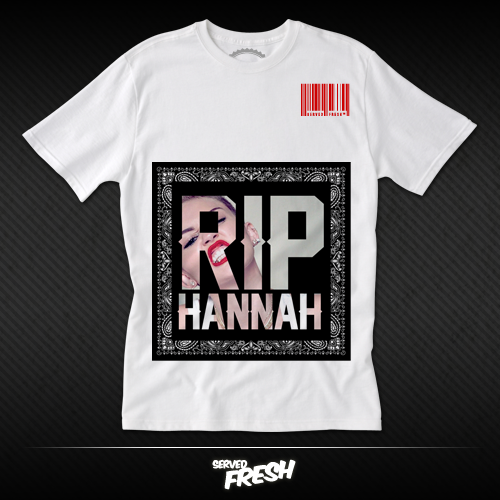 This tee is definitely a DOPE send off to the hit tv sitcom character HANNAH MONTANA. She will be missed. Visit the ServedFresh website for all your #Fresh needs Here.